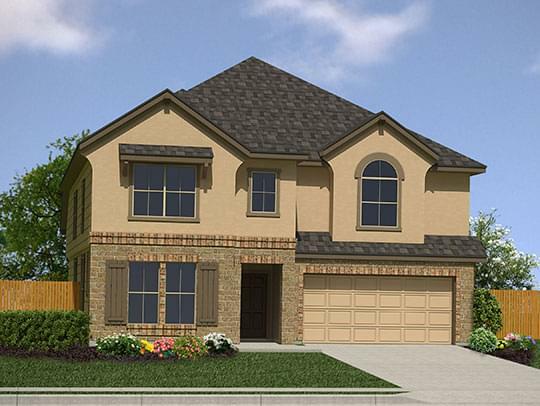 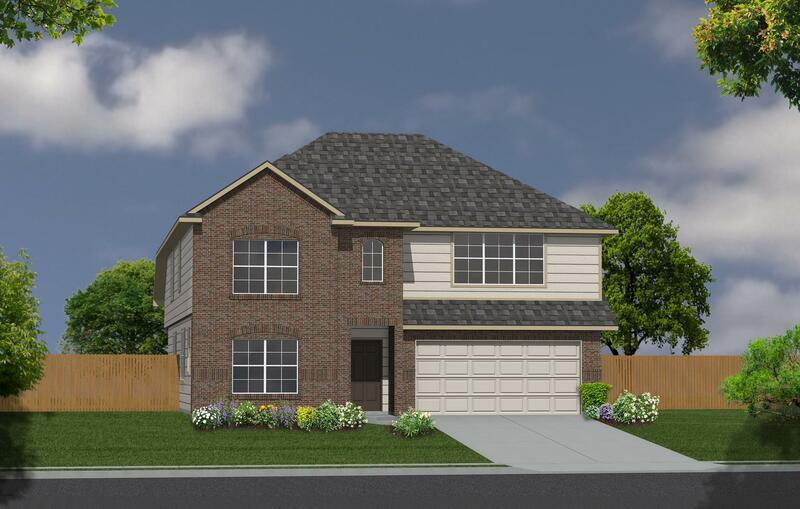 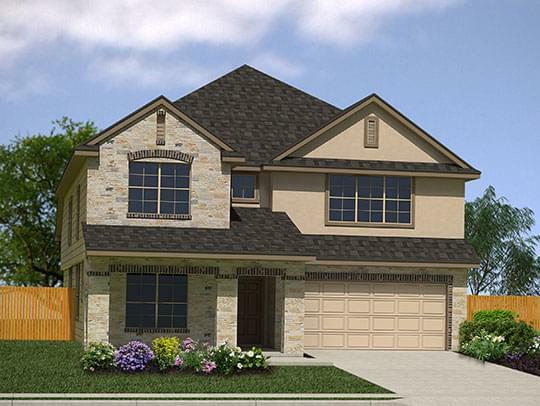 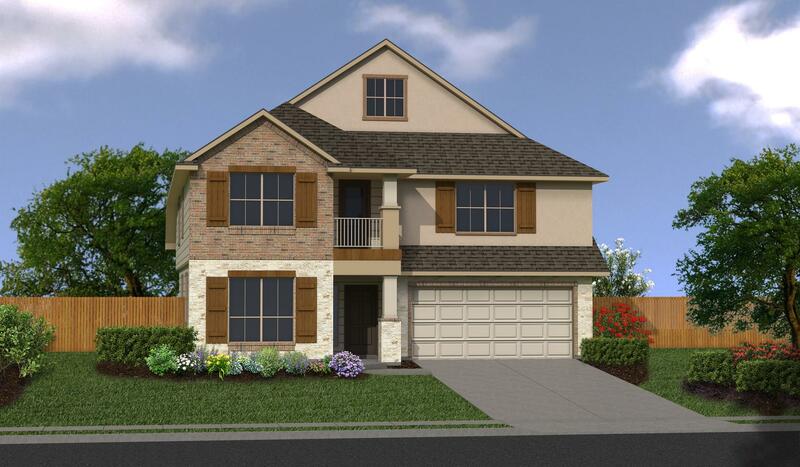 The Atalon floor plan features a 2-story home with 5 bedrooms, 3.5 bathrooms, a great room, a formal dining room, a breakfast area with a bay window option, a game room, and a media room. 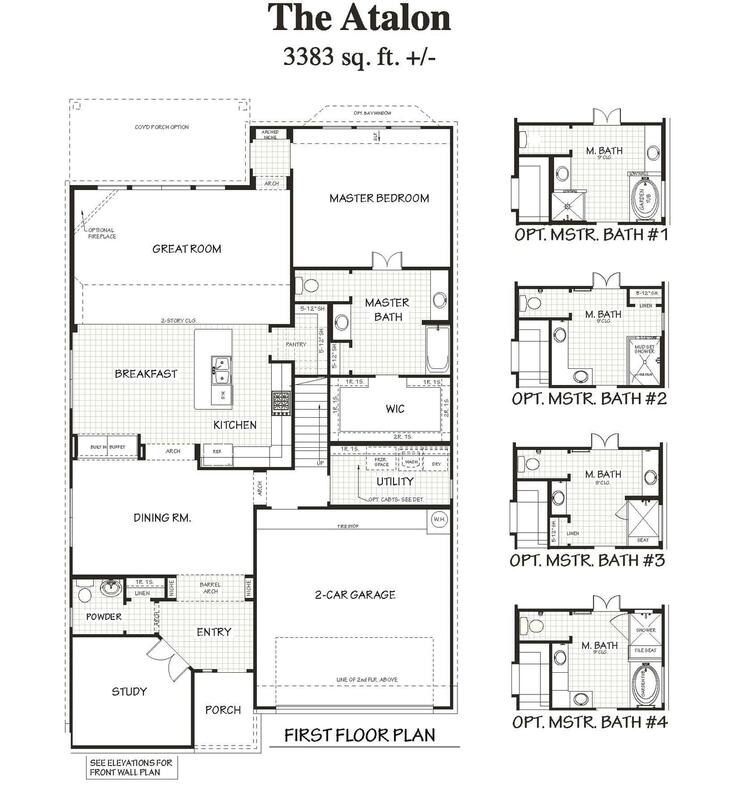 The master suite is located downstairs and has several options that can be added such as a bay window, tray ceilings, and several master bath layouts to choose from. 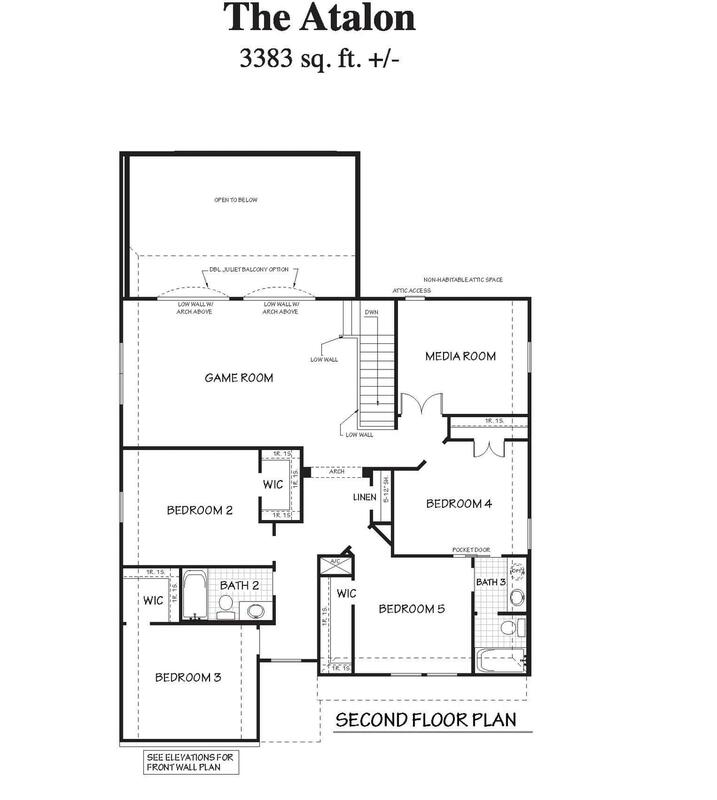 An additional bedroom and full bath can be added in lieu of the study and powder bath downstairs.